As a Project Lead The Way (PLTW) educator, I co-teach with classroom teachers in their classrooms. Students develop 21st-century skills as they work to solve open-ended problems using skills from science, technology, engineering, art, and math (STEAM). Students in my district now enjoy PLTW classes from Young Fives Kindergarten all the way through high school. Students learn the design process beginning in the earliest years by solving open-ended engineering problems. In first grade, they begin learning computer science concepts and skills in a developmentally-appropriate, scaffolded curriculum. Following a reading and retelling of the story of The Three Little Pigs, students work collaboratively to design and build a home for the pigs using one of the familiar materials from the story. Students then test their designs when the wolf comes to try and blow their houses down. NGSS K-2-ETS1-2 Engineering Design: Develop a simple sketch, drawing, or physical model to illustrate how the shape of an object helps it function as needed to solve a given problem. After learning the basics of block-based coding using the iPad app ScratchJr, we read aloud the classic children’s book “Harry The Dirty Dog.” Students then choose a page (or more) from the book to animate, building computational thinking skills and using their coding skills to convey meaning. CSTA 1A-AP-10: Develop programs with sequences and simple loops, to express ideas or address a problem. When the schedule allows, classroom teachers and I collaborate on technology integration projects like this one. In a one-day project, students used the app ShadowPuppet Edu to explain the butterfly life cycle. They had spent many days learning about this cycle with their classroom teacher and using technology, were able to explain their understanding in a new way. ISTE Standards For Students 1: Empowered Learner. 1b Students use technology to seek feedback that informs informs and improves their practice and to demonstrate their learning in a variety of ways. Click to play video In third grade, students build on their prior knowledge of coding, adding the knowledge of modules. With this new knowledge, they use the app Hopscotch to create repeating patterns. Students share their work with each other and their families using Seesaw. CSTA 1B-AP-11: Decompose (break down) problems into smaller, manageable subproblems to facilitate the program development process. 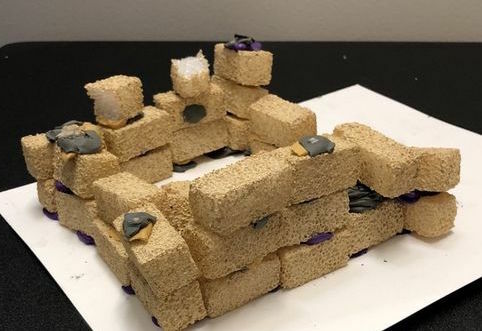 NGSS 3-5-ETS1-3 Engineering Design: Plan and carry out fair tests in which variables are controlled and failure points are considered to identify aspects of a model or prototype that can be improved. 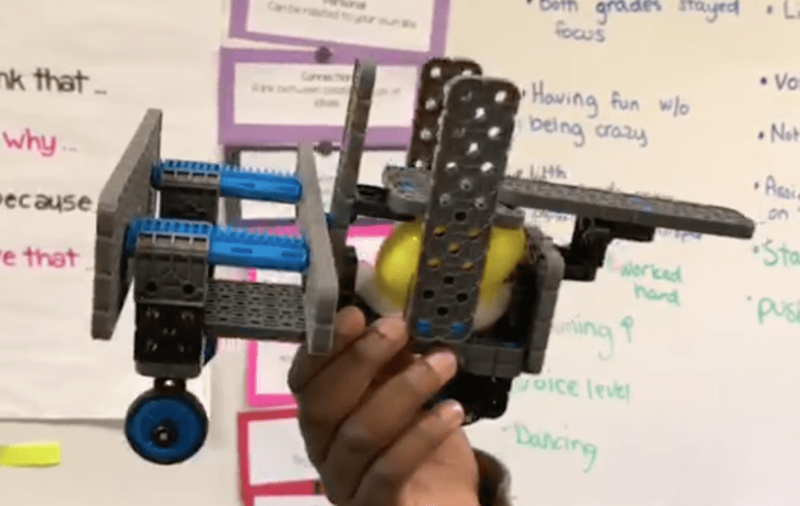 Using information they learn about energy and what happens to it in a collision through a series of hands-on activities, students engineer a solution for keeping an egg passenger safe in a crash. This collaborative activity requires students to do research, design and test a prototype, and reflect on their findings. NGSS 4-PS3-3: Ask questions and predict outcomes about the changes in energy that occur when objects collide. NGSS Science and Engineering Practices: Constructing Explanations and Designing Solutions. Builds on K-2 experiences and progresses to the use of evidence in constructing explanations that specify variables that describe and predict phenomena and in designing multiple solutions to design problems. Students work cooperatively in small groups to build, modify, and program a robot to move autonomously (with minimal human intervention) while also learning to navigate social learning situations and solve a problem that is anchored in the real world. 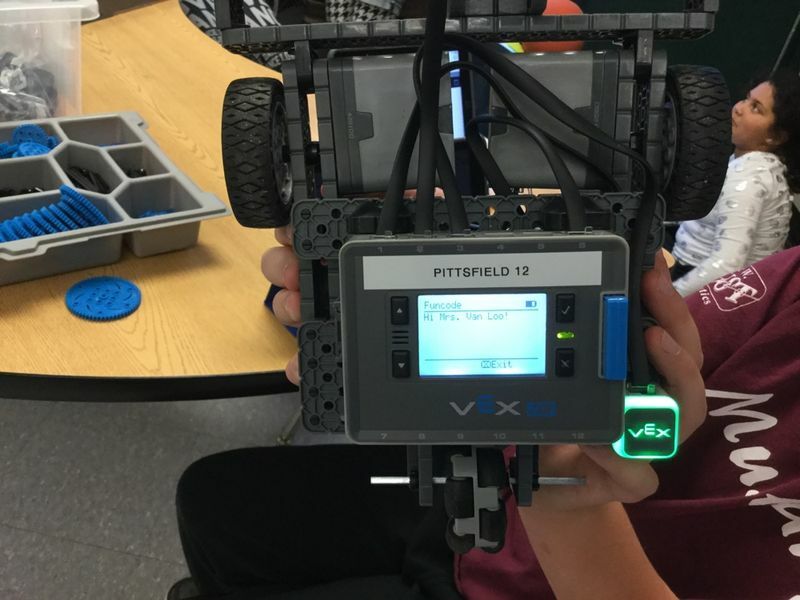 To read more, check out my page: Robotics in Grade 5 – A Formative Assessment. NGSS ETS1.B Engineering Design: Developing Possible Solutions: Research on a problem should be carried out before beginning to design a solution. At whatever stage, communicating with peers about proposed solutions is an important part of the design process, and shared ideas can lead to improved designs. To learn more about my educational philosophy and class projects, read my Teaching Philosophy or view my gallery of Visual Arts student projects. All images and videos on this page were created by Sarah Van Loo’s students.